Please fill in your name at the top of this page and write your answers under their corresponding question. When you are done, publish this file to html using File > Publish To HTML (or the command publish('hw1.m', 'html') and create a new zip file that is labeled with your UNI and homework number, in this format: bs2018_hw1.zip, that contains this original m file, and the html directory created from publishing the file. Make sure the html file adequately shows your work, (has images, etc. ), and then email this file to cs3101@gmail.com, making sure to include your name, and uni in the subject. 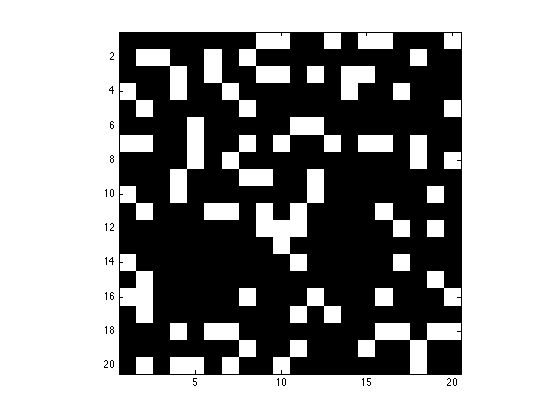 Conway's Game of Life is a cellular automation that operates on a 2D grid. Life is a wonderful example of how complex patterns can arise from very simple rules and initial conditions. Using only one command. 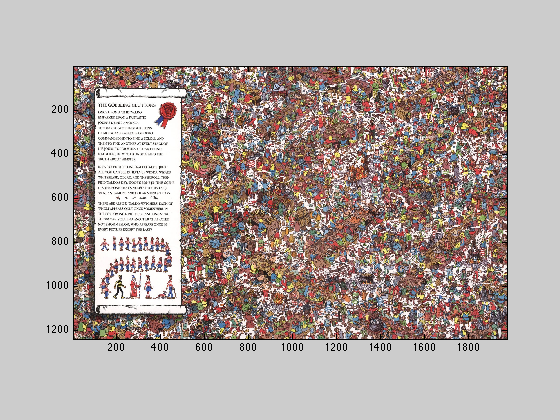 Make a grid of size NxN where 80% of the entries are randomly set to 1 and the rest are zero. Store the grid in the variable X. Do not display X. 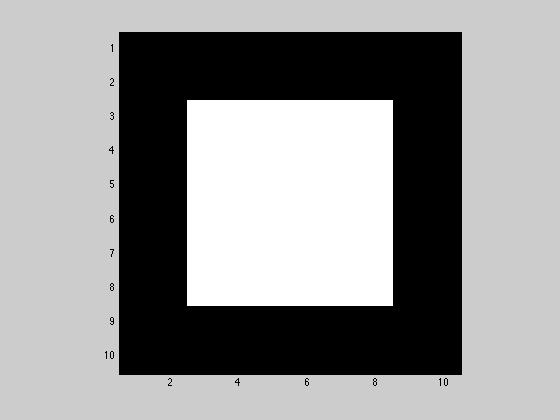 Change the colormap to black and white and display X in figure 1, make sure to change the axis so that X is displayed as square. For each cell of the grid, count how many of its 8 neighbors are equal to 1. Store the number of neighbors for each cell in a new variable called neighbors. The grid should be connected left to right and top to bottom, so that it's continuous. Cells on the boundary on the right for example may have neighbors on the left boundary. Hint: it's much simpler to do this with one big command, and it involves circularly shifting around and adding the original matrix X. Write a short piece of code that initializes an empty 50x50 grid, plots that grid in figure 1 and then prompts the user to click on the plot. The user is able to toggle the color of cells between black and white by clicking on them. 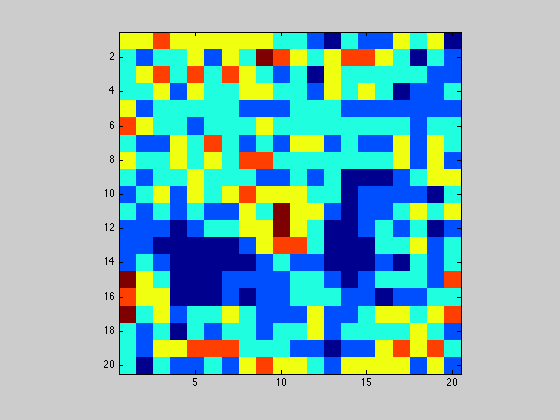 Changing the color of the cell changes the underlying values in the grid from 1 to 0 and vice versa. The user should be able to terminate the loop by right-clicking anywhere without making a dot (the dots are made by left clicks). NOTE: before you publish your HW, you must comment out this code because it is interactive, but to prove that it works you will use this bit of code in the next question. Use the piece of code you wrote above to draw Gosper's Glider Gun. When you have sucessfully done it once. Save X (your grid) to a file called Xgosperglider.mat (only save the one variable X to this file). Comment out the interactive code above, and simply load the .mat file below, and apply conways game of life to it. Only run Life for 100 iterations. Figure 1 should currently contain your Gosper Glider Gun after it has been iterated with life 100 times. Write this entire figure window to an image file called 'gliderFigure.png'. Make sure you write the entire figure, with the title, etc. 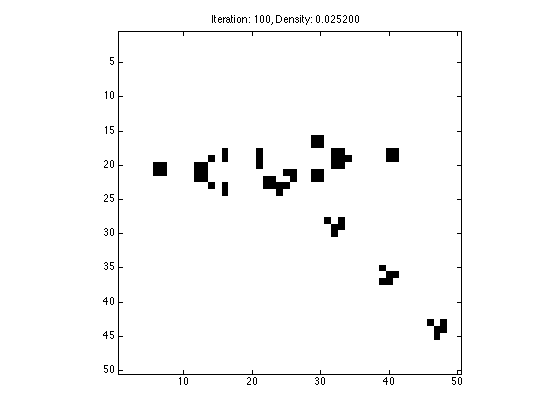 Now simply write to an image file for the data which is contained inside the plot (the data in variable X). 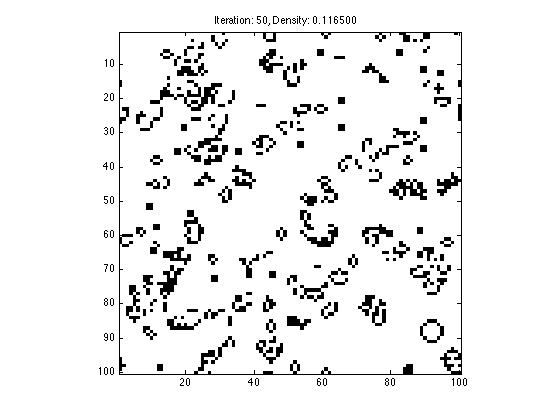 This image should be 50x50 pixels, and does not contain the axes or the title. 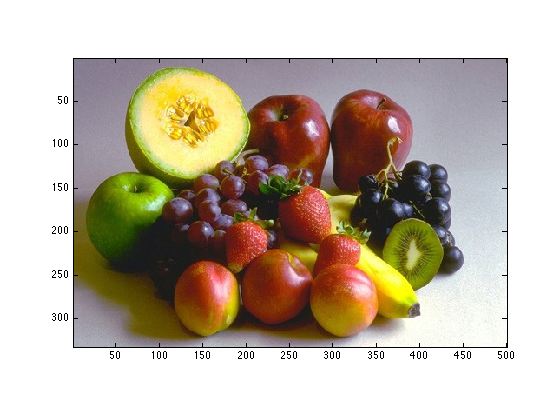 Download the image fruit.jpg from the class website, and load the image into a variable called X. What are the dimensions of X? A grayscale image can be computed by averaging the red, green, and blue components for each pixel. Convert X to grayscale and store that result in variable called Xbw. Compute and show a new image called Xthresh, which is white wherever the intesity of Xbw is greater then 85 and black everywhere the intensity is less then 85.
write the Xthresh image out as a png. do not write the whole figure window, just the image. along the rows and then with the vector H2 along the columns. that is the same size as A. Create a new variable A that is 10x10 and contains all zeros except for the middle 6x6 elemnts which contain ones. 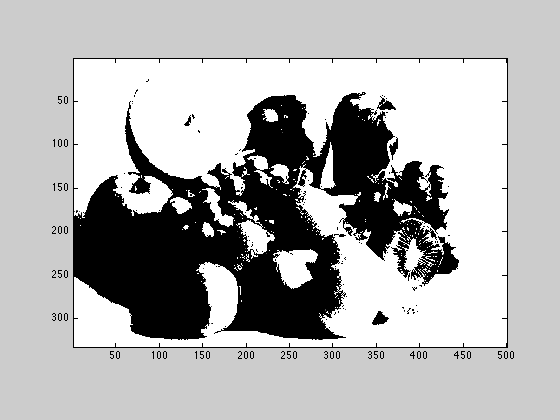 Display A as a grayscale image. 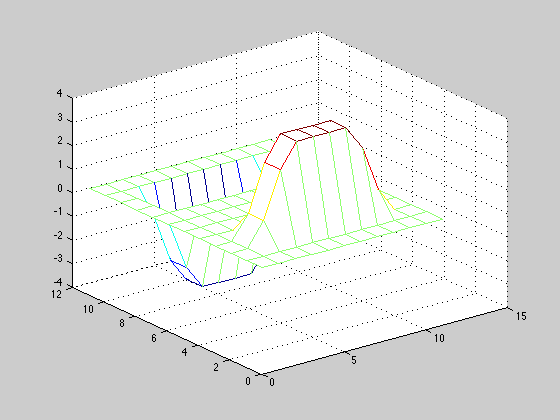 Compute Gx by convolving the sobel kernel with the A matrix. Display Gx as a mesh in figure 4 with the colormap jet. Compute Gx, Gy, and G for the fruit image by following how it is done in the wikipedia article. Display the result as an image. Save the result to a png file. 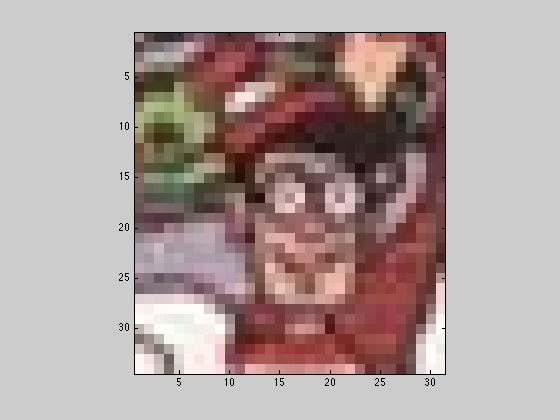 load the two images waldo.png, and findwaldobig.jpg. coefficients and its values may range from -1.0 to 1.0. The input matrices can be numeric. The output matrix C is double. 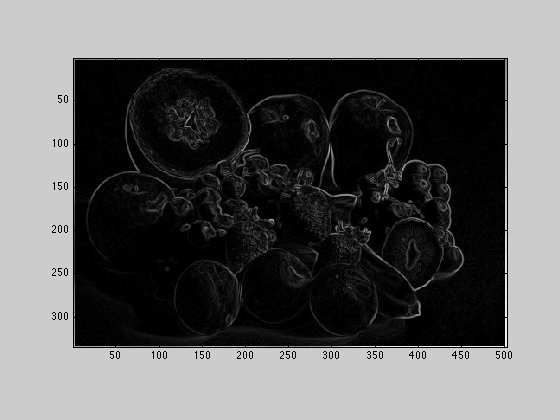 Convert the two images two grayscale, and run normxcorr2 on them to get a matrix of correlation values, the maximum of which, corresponds to the best place to put the smaller image so that it lines up with the big image. 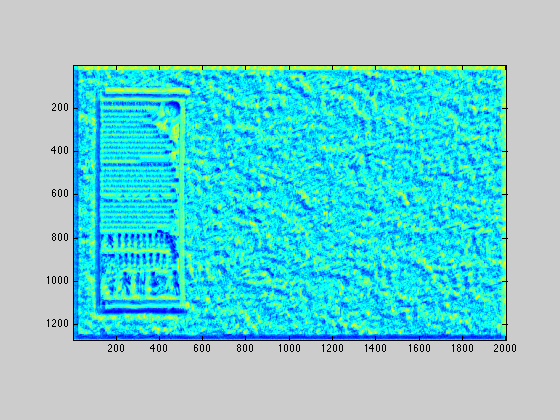 Call this matrix of correlations W, and display it using the jet heat map. Note: normxcorr2 could take a while to run. Find the coordinates for the maximum of W (display them), and use the hold, and scatter commands to plot the grayscale findwaldobig image, and plot 4 red dots around where you found waldo.